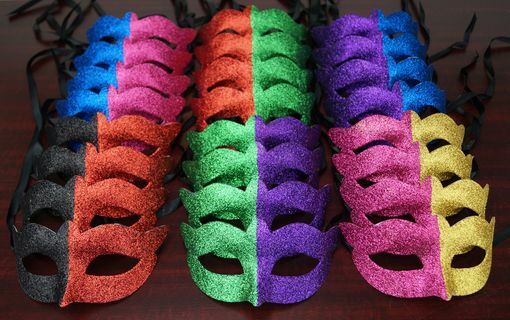 Easy for any masquerade party, a set of colorful classic masks for your guests! Made out of durable, yet light weight molded plastic, decorated with whimsical colored glitter. Black ribbons are attached for easy wear. Veneto mask party pack comes with 24 masks.